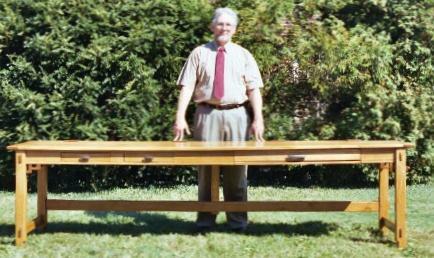 Plans for low-stress computer furniture you can build. *** How to use this site. Did you not receive the plans you requested? 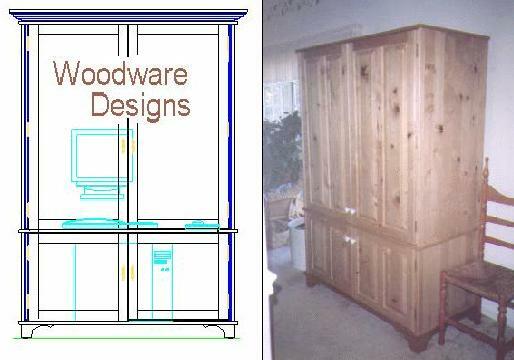 *** Detailed designs for lasting woodworking projects. View first; pay only for what you use. 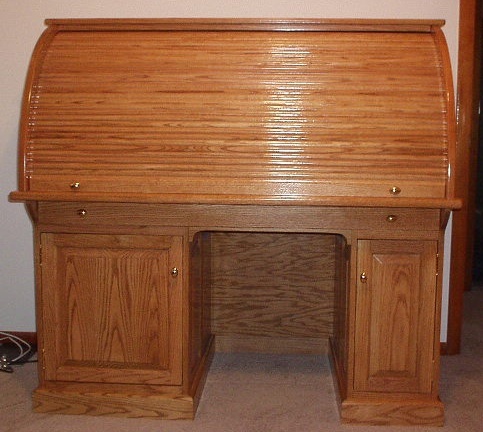 *** Simple desks, gifts, and other fun woodworking projects for beginners. Science Fiction E-Book -- Now on Sale!!! *** An e-book collection of hard science fiction short stories with a positive vision of the future. Work-in-progress for our new stories and games, The Big Moon Dig. 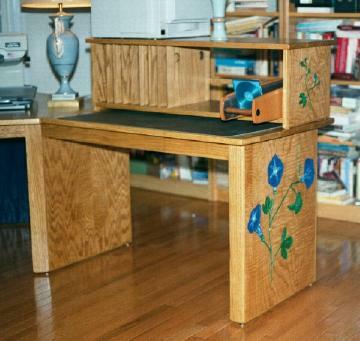 *** Hand carved wood crafts and gifts for sale, custom orders welcomed, and plans for hand-made paper equipment. *** All our plans are free to help with physical challenges like Repetitive Stain Injury. *** Pictures of projects made with our plans. *** Fun ideas under development. Science Fiction and Space Exploration -- Here are some fun ideas we are working on including a science fiction e-book. 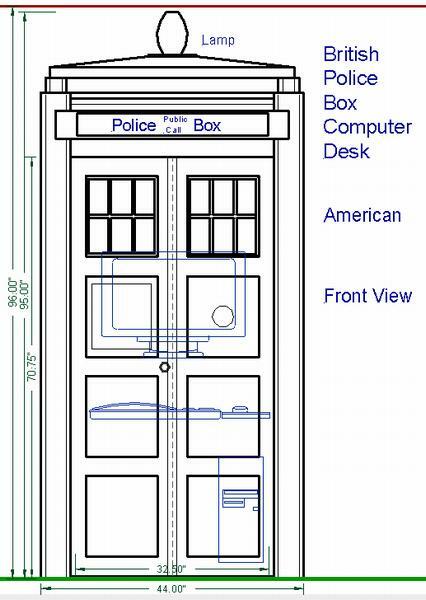 Armoire in the shape of the TARDIS -- an Armoire Computer Desk designed after the TARDIS from the Dr. Who television series. Shop-built Add-Ons for the CNC Piranha -- things you can make for your CNC machine. How to light your projects with LED's -- several ways you can add light to your projects by adding LED's. *** Energy related projects you can build. *** Home-built telescopes and such. You pay for only the plans and other materials that you use in a number of convenient ways. These small payments are critical to keeping this site open. Or, buy hardware from our main advertiser, Rockler, but you must use their link on the first page of our Web site above. You can zip around our site with the blue text Link Lines at the top and bottom of each page, our Site Map, or with the Goggle Search windows. Have fun! We have now been at this a long, long time. If you are in pain, see a doctor! Do not work in uncomfortable, awkward ways. Do not tolerate bad equipment and furniture. Take breaks and make a habit of variety. How should you physically relate to your machine? Do not let the hardware push you around. Find out how to mold it to your needs. Please, communicate with your needs and ideas.